An animated film set in the world of Ni No Kuni is in the works and is slated for a Japan release this Summer. The film is in development at Level-5, with the company's CEO Akihiro Hino writing the script. Hino will also act as executive producer. Yoshiyuki Momose – who worked on both games – will be directing the film. Momose's credits include a number of short films with Studio Ghibli. Music will be composed by Joe Hisaishi, whose credits include Spirited Away and Princess Mononoke. 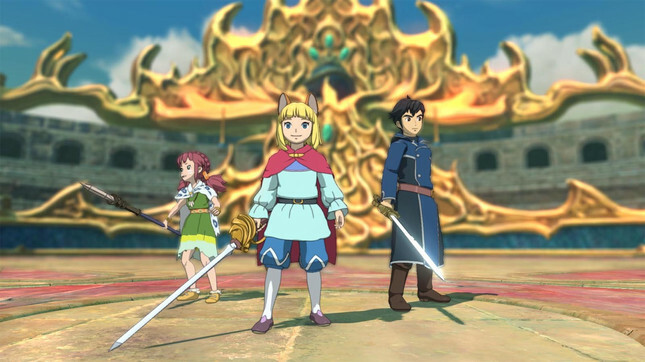 The anime will tell a new story within the Ni No Kuni world, centred around a boy named Yu who travels there from the real world with his friend Kotona. There are no details of a Western release at this point.